Adobo is often thought of as the national dish of the Philippines. It features meat, seafood, or vegetables that are marinated and then quickly cooked. This vegetarian adobo uses a vegetarian chicken alternative and marinates it in vinegar, garlic, pepper, soy sauce, and lemon. In this recipe, the meatless "chicken" is cooked the same way as chicken adobo (or adobong manok); it is marinated, fried in a bit of oil, and then simmered in the sauce for a unique taste of the Philippines. It's incredibly easy to make, perfect for busy weeknight meals, and delicious when served over rice. With the recommended product called Chicken Free Chicken, this dish is also suitable for vegan diets. In a medium bowl, combine the garlic, lemon zest, soy sauce, pepper, and vinegar. Add the Chicken Free Chicken, coating it well with the marinade. Marinate for 15 minutes. Heat the olive oil in a skillet over medium heat, and then transfer the garlic from the marinade, reserving the marinade for later use. Stir-fry the garlic until brown, being careful not to let it burn. Add the marinade and Chicken Free Chicken to the skillet and stir-fry for a minute or two. Lower the heat, add the water, and simmer the mixture 10 minutes, stirring occasionally. Chicken Free Chicken is a product of Sunfed Meats from New Zealand. It is a vegan alternative to chicken that is made from peas and other natural ingredients. Many vegetarians and vegans enjoy this "meat," saying it is one of the best meatless options available. It also fits with gluten-free and soy-free diets and contains no preservatives and GMOs. Other meatless chicken products can be found from brands like Gardein, Lightlife, and Quorn, among others. The majority of these are available in strips and will stir-fry just as well. You want to add enough water to create a sauce that won't burn after simmering for 10 minutes. Adobo is often made with a variety of meats beyond chicken, including pork, beef, and fish. Vegetarians can use this same sauce with your favorite meatless products, including tempeh, tofu, or seitan. If you're a fan of garlic, a single clove may not be enough. Feel free to add a few more cloves to this recipe to give the flavor a nice punch. Many classic adobo recipes include a bay leaf as well. If you would like to add one, be sure to remove it from the marinade prior to stir-frying. A variety of other seasonings are often added to individual adobo recipes. These include ginger and onions, and you can always add more vegetables to the stir-fry. 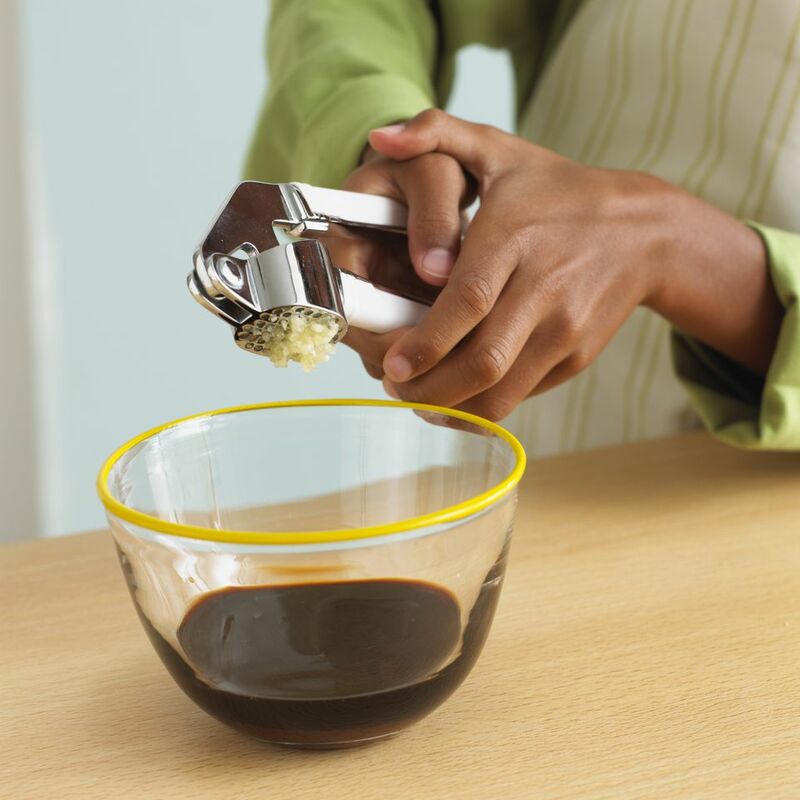 For the vinegar, you can use standard white vinegar or any other option you have on hand. In the Philippines, coconut or rice vinegars are most common. Each different type of vinegar will give the adobo a different flavor, so experiment to see which you like best.